Shopping for a used car or SUV for sale near New Britain? 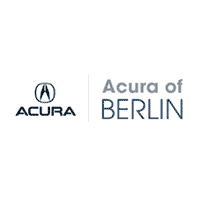 With over 74 used vehicles in stock, Acura of Berlin is the local used car dealer for you. Find the used Acura SUV you’re looking for including late model pre-owned Acura MDX and RDX models. For Middletown buyers looking for a used vehicle that’s still under warranty, we have a wide selection of Certified Pre-Owned Vehicles. Whatever your budget or preference, we certain you’ll find a used car for sale that suits your needs. Browse our inventory online to discover the perfect pre-owned car or SUV to drive home to Hartford. 2012 Acura TSX 2.4 Crystal Black Pearl CARFAX One-Owner. *SUNROOF*, *HEATED SEATS*, *1 OWNER*, *BLUETOOTH*, LEATHER, NON SMOKER, **INCLUDES WARRANTY**. 22/31 City/Highway MPG Located at the all-new Acura of Berlin in the geographical center of CT, a short drive from MA, NY, RI, NJ, and VT. Our guests enjoy an exceptional shopping experience with our courteous, knowledgeable staff. Our accelerated sales process respects your time, and our transparent fair market pricing takes the hassle out of car shopping. Every vehicle is provided with the safety inspection and complimentary history reports. To make your life a little easier, we are even open Sundays for sales and service by appointment. Awards: * 2012 IIHS Top Safety Pick *Insurance Institute for Highway Safety. 2016 Acura ILX 2.4L Slate Silver Metallic Certified. CARFAX One-Owner. *SUNROOF*, *HEATED SEATS*, *1 OWNER*, *Acura CERTIFIED*, *BLUETOOTH*, *BACK UP CAMERA*, LEATHER, NON SMOKER, STILL UNDER FACTORY WARRANTY, **INCLUDES WARRANTY**, CLEAN AUTOCHECK! !, *CLEAN HISTORY REPORT*. 25/36 City/Highway MPG YOUR CERTIFIED Acura WILL COME WITH A ONE HUNDRED THOUSAND MILE LIMMITED POWERTRAIN WARRANTY AND 1 YEAR COMPREHENSIVE EXTENSION AFTER IT HAS GONE THROUGH Acura OF BERLINS 182 POINT INSPECTION. Awards: * 2016 KBB.com Best Buy Awards Finalist * 2016 KBB.com 5-Year Cost to Own Awards 2016 Kelley Blue Book Brand Image Awards are based on the Brand Watch(tm) study from Kelley Blue Book Market Intelligence. Award calculated among non-luxury shoppers. For more information, visit www.kbb.com. Kelley Blue Book is a registered trademark of Kelley Blue Book Co., Inc.
2016 Acura TLX 2.4L Slate Silver Metallic Certified. CARFAX One-Owner. *SUNROOF*, *HEATED SEATS*, *1 OWNER*, *Acura CERTIFIED*, *BLUETOOTH*, *BACK UP CAMERA*, LEATHER, NON SMOKER, STILL UNDER FACTORY WARRANTY, **INCLUDES WARRANTY**, CLEAN AUTOCHECK! !, *CLEAN HISTORY REPORT*. 24/35 City/Highway MPG YOUR CERTIFIED Acura WILL COME WITH A ONE HUNDRED THOUSAND MILE LIMMITED POWERTRAIN WARRANTY AND 1 YEAR COMPREHENSIVE EXTENSION AFTER IT HAS GONE THROUGH Acura OF BERLINS 182 POINT INSPECTION. Awards: * ALG Residual Value Awards * 2016 KBB.com 10 Best Luxury Cars Under $35,000 * 2016 KBB.com 5-Year Cost to Own Awards 2016 Kelley Blue Book Brand Image Awards are based on the Brand Watch(tm) study from Kelley Blue Book Market Intelligence. Award calculated among non-luxury shoppers. For more information, visit www.kbb.com. Kelley Blue Book is a registered trademark of Kelley Blue Book Co., Inc.
2016 Acura TLX 3.5L V6 White Certified. CARFAX One-Owner. *SUNROOF*, *HEATED SEATS*, *1 OWNER*, *Acura CERTIFIED*, *BLUETOOTH*, LEATHER, STILL UNDER FACTORY WARRANTY, **INCLUDES WARRANTY**, *PREMIUM SOUND SYSTEM*. 21/34 City/Highway MPG Located at the all-new Acura of Berlin in the geographical center of CT, a short drive from MA, NY, RI, NJ, and VT. Our guests enjoy an exceptional shopping experience with our courteous, knowledgeable staff. Our accelerated sales process respects your time, and our transparent fair market pricing takes the hassle out of car shopping. Every vehicle is provided with the safety inspection and complimentary history reports. To make your life a little easier, we are even open Sundays for sales and service by appointment. Awards: * ALG Residual Value Awards * 2016 KBB.com 10 Best Luxury Cars Under $35,000 * 2016 KBB.com 5-Year Cost to Own Awards 2016 Kelley Blue Book Brand Image Awards are based on the Brand Watch(tm) study from Kelley Blue Book Market Intelligence. Award calculated among non-luxury shoppers. For more information, visit www.kbb.com. Kelley Blue Book is a registered trademark of Kelley Blue Book Co., Inc.
2016 Acura TLX 2.4L Crystal Black Pearl *SUNROOF*, *HEATED SEATS*, *NEW TIRES! *, *1 OWNER*, *BLUETOOTH*, *BACK UP CAMERA*, NON SMOKER, **INCLUDES WARRANTY**, *PREMIUM SOUND SYSTEM*. 24/35 City/Highway MPG Located at the all-new Acura of Berlin in the geographical center of CT, a short drive from MA, NY, RI, NJ, and VT. Our guests enjoy an exceptional shopping experience with our courteous, knowledgeable staff. Our accelerated sales process respects your time, and our transparent fair market pricing takes the hassle out of car shopping. Every vehicle is provided with the safety inspection and complimentary history reports. To make your life a little easier, we are even open Sundays for sales and service by appointment. Awards: * ALG Residual Value Awards * 2016 KBB.com 10 Best Luxury Cars Under $35,000 * 2016 KBB.com 5-Year Cost to Own Awards 2016 Kelley Blue Book Brand Image Awards are based on the Brand Watch(tm) study from Kelley Blue Book Market Intelligence. Award calculated among non-luxury shoppers. For more information, visit www.kbb.com. Kelley Blue Book is a registered trademark of Kelley Blue Book Co., Inc.
2017 Acura ILX Technology Package White Certified. CARFAX One-Owner. ABS brakes, Alloy wheels, Electronic Stability Control, Front dual zone A/C, Heated door mirrors, Heated front seats, Heated Front Sport Seats, Illuminated entry, Low tire pressure warning, Power moonroof, Remote keyless entry, Traction control. 25/35 City/Highway MPG Located at the all-new Acura of Berlin in the geographical center of CT, a short drive from MA, NY, RI, NJ, and VT. Our guests enjoy an exceptional shopping experience with our courteous, knowledgeable staff. Our accelerated sales process respects your time, and our transparent fair market pricing takes the hassle out of car shopping. Every vehicle is provided with the safety inspection and complimentary history reports. To make your life a little easier, we are even open Sundays for sales and service by appointment. Awards: * 2017 IIHS Top Safety Pick (When equipped with optional front crash protection) * 2017 KBB.com 5-Year Cost to Own Awards 2016 Kelley Blue Book Brand Image Awards are based on the Brand Watch(tm) study from Kelley Blue Book Market Intelligence. Award calculated among non-luxury shoppers. For more information, visit www.kbb.com. Kelley Blue Book is a registered trademark of Kelley Blue Book Co., Inc. *Insurance Institute for Highway Safety. 2015 Acura TLX 3.5L V6 Basque Red Pearl II Certified. CARFAX One-Owner. *NAVIGATION*, *SUNROOF*, *HEATED SEATS*, *1 OWNER*, *Acura CERTIFIED*, *BLUETOOTH*, *BACK UP CAMERA*, LEATHER, NON SMOKER, STILL UNDER FACTORY WARRANTY, **INCLUDES WARRANTY**, SERVICE RECORDS, ALL WHEEL DRIVE, *PREMIUM SOUND SYSTEM*, CLEAN AUTOCHECK! !, *CLEAN HISTORY REPORT*. 21/31 City/Highway MPG Odometer is 3193 miles below market average! YOUR CERTIFIED Acura WILL COME WITH A ONE HUNDRED THOUSAND MILE LIMMITED POWERTRAIN WARRANTY AND 1 YEAR COMPREHENSIVE EXTENSION AFTER IT HAS GONE THROUGH Acura OF BERLINS 182 POINT INSPECTION. Awards: * 2015 IIHS Top Safety Pick+ * 2015 KBB.com Our 10 Favorite New-for-2015 Cars * 2015 KBB.com 10 Best Luxury Cars Under $35,000 For more information, visit www.kbb.com. Kelley Blue Book is a registered trademark of Kelley Blue Book Co., Inc. *Insurance Institute for Highway Safety. 2016 Acura TLX 2.4L Crystal Black Pearl Certified. CARFAX One-Owner. *NAVIGATION*, *SUNROOF*, *HEATED SEATS*, *NEW TIRES! *, *1 OWNER*, *Acura CERTIFIED*, *BLUETOOTH*, *BACK UP CAMERA*, LEATHER, NON SMOKER, STILL UNDER FACTORY WARRANTY, **INCLUDES WARRANTY**, CLEAN AUTOCHECK! !, *CLEAN HISTORY REPORT*. 24/35 City/Highway MPG YOUR CERTIFIED Acura WILL COME WITH A ONE HUNDRED THOUSAND MILE LIMMITED POWERTRAIN WARRANTY AND 1 YEAR COMPREHENSIVE EXTENSION AFTER IT HAS GONE THROUGH Acura OF BERLINS 182 POINT INSPECTION. Awards: * ALG Residual Value Awards * 2016 KBB.com 10 Best Luxury Cars Under $35,000 * 2016 KBB.com 5-Year Cost to Own Awards 2016 Kelley Blue Book Brand Image Awards are based on the Brand Watch(tm) study from Kelley Blue Book Market Intelligence. Award calculated among non-luxury shoppers. For more information, visit www.kbb.com. Kelley Blue Book is a registered trademark of Kelley Blue Book Co., Inc.
2016 Acura TLX 3.5L V6 Graphite Luster Metallic Certified. CARFAX One-Owner. *SUNROOF*, *HEATED SEATS*, *1 OWNER*, *Acura CERTIFIED*, *BLUETOOTH*, *BACK UP CAMERA*, LEATHER, NON SMOKER, STILL UNDER FACTORY WARRANTY, **INCLUDES WARRANTY**, *PREMIUM SOUND SYSTEM*, CLEAN AUTOCHECK! !, *CLEAN HISTORY REPORT*. 21/34 City/Highway MPG YOUR CERTIFIED Acura WILL COME WITH A ONE HUNDRED THOUSAND MILE LIMMITED POWERTRAIN WARRANTY AND 1 YEAR COMPREHENSIVE EXTENSION AFTER IT HAS GONE THROUGH Acura OF BERLINS 182 POINT INSPECTION. Awards: * ALG Residual Value Awards * 2016 KBB.com 10 Best Luxury Cars Under $35,000 * 2016 KBB.com 5-Year Cost to Own Awards 2016 Kelley Blue Book Brand Image Awards are based on the Brand Watch(tm) study from Kelley Blue Book Market Intelligence. Award calculated among non-luxury shoppers. For more information, visit www.kbb.com. Kelley Blue Book is a registered trademark of Kelley Blue Book Co., Inc.
2015 Acura RDX Technology Package Silver Moon *NAVIGATION*, *HEATED SEATS*, *NEW TIRES! *, *1 OWNER*, *Acura CERTIFIED*, *BLUETOOTH*, *BACK UP CAMERA*, LEATHER, ALL WHEEL DRIVE, *PREMIUM SOUND SYSTEM*, CLEAN AUTOCHECK! !, AWD. 19/27 City/Highway MPG Located at the all-new Acura of Berlin in the geographical center of CT, a short drive from MA, NY, RI, NJ, and VT. Our guests enjoy an exceptional shopping experience with our courteous, knowledgeable staff. Our accelerated sales process respects your time, and our transparent fair market pricing takes the hassle out of car shopping. Every vehicle is provided with the safety inspection and complimentary history reports. To make your life a little easier, we are even open Sundays for sales and service by appointment. Awards: * 2015 KBB.com 10 Best Luxury Cars Under $35,000 For more information, visit www.kbb.com. Kelley Blue Book is a registered trademark of Kelley Blue Book Co., Inc.
2016 Acura RDX White Diamond Pearl Certified. CARFAX One-Owner. *SUNROOF*, *HEATED SEATS*, *NEW TIRES! *, *1 OWNER*, COMPLETE SERVICE RECORDS, *Acura CERTIFIED*, *BLUETOOTH*, *BACK UP CAMERA*, LEATHER, NON SMOKER, STILL UNDER FACTORY WARRANTY, **INCLUDES WARRANTY**, ALL WHEEL DRIVE, *PREMIUM SOUND SYSTEM*, CLEAN AUTOCHECK! !, *CLEAN HISTORY REPORT*, AWD. 19/28 City/Highway MPG YOUR CERTIFIED Acura WILL COME WITH A ONE HUNDRED THOUSAND MILE LIMMITED POWERTRAIN WARRANTY AND 1 YEAR COMPREHENSIVE EXTENSION AFTER IT HAS GONE THROUGH Acura OF BERLINS 182 POINT INSPECTION. Awards: * 2016 KBB.com 10 Best Luxury Cars Under $35,000 * 2016 KBB.com 5-Year Cost to Own Awards 2016 Kelley Blue Book Brand Image Awards are based on the Brand Watch(tm) study from Kelley Blue Book Market Intelligence. Award calculated among non-luxury shoppers. For more information, visit www.kbb.com. Kelley Blue Book is a registered trademark of Kelley Blue Book Co., Inc.
2016 Acura RDX White Diamond Pearl Certified. CARFAX One-Owner. *SUNROOF*, *HEATED SEATS*, *NEW TIRES! *, *1 OWNER*, *Acura CERTIFIED*, *BLUETOOTH*, *BACK UP CAMERA*, LEATHER, NON SMOKER, STILL UNDER FACTORY WARRANTY, **INCLUDES WARRANTY**, ALL WHEEL DRIVE, CLEAN AUTOCHECK! !, *CLEAN HISTORY REPORT*, AWD. 19/28 City/Highway MPG YOUR CERTIFIED Acura WILL COME WITH A ONE HUNDRED THOUSAND MILE LIMMITED POWERTRAIN WARRANTY AND 1 YEAR COMPREHENSIVE EXTENSION AFTER IT HAS GONE THROUGH Acura OF BERLINS 182 POINT INSPECTION. Awards: * 2016 KBB.com 10 Best Luxury Cars Under $35,000 * 2016 KBB.com 5-Year Cost to Own Awards 2016 Kelley Blue Book Brand Image Awards are based on the Brand Watch(tm) study from Kelley Blue Book Market Intelligence. Award calculated among non-luxury shoppers. For more information, visit www.kbb.com. Kelley Blue Book is a registered trademark of Kelley Blue Book Co., Inc.
2016 Acura RDX Black Pearl Certified. CARFAX One-Owner. *SUNROOF*, *HEATED SEATS*, *1 OWNER*, *Acura CERTIFIED*, *BLUETOOTH*, *BACK UP CAMERA*, LEATHER, STILL UNDER FACTORY WARRANTY, **INCLUDES WARRANTY**, ALL WHEEL DRIVE, *PREMIUM SOUND SYSTEM*, CLEAN AUTOCHECK! !, AWD. 19/28 City/Highway MPG Located at the all-new Acura of Berlin in the geographical center of CT, a short drive from MA, NY, RI, NJ, and VT. Our guests enjoy an exceptional shopping experience with our courteous, knowledgeable staff. Our accelerated sales process respects your time, and our transparent fair market pricing takes the hassle out of car shopping. Every vehicle is provided with the safety inspection and complimentary history reports. To make your life a little easier, we are even open Sundays for sales and service by appointment. Awards: * 2016 KBB.com 10 Best Luxury Cars Under $35,000 * 2016 KBB.com 5-Year Cost to Own Awards 2016 Kelley Blue Book Brand Image Awards are based on the Brand Watch(tm) study from Kelley Blue Book Market Intelligence. Award calculated among non-luxury shoppers. For more information, visit www.kbb.com. Kelley Blue Book is a registered trademark of Kelley Blue Book Co., Inc.
2017 Acura TLX 3.5L V6 Lunar Silver Metallic Certified. CARFAX One-Owner. *NAVIGATION*, *SUNROOF*, *HEATED SEATS*, *1 OWNER*, *Acura CERTIFIED*, *BLUETOOTH*, *BACK UP CAMERA*, LEATHER, STILL UNDER FACTORY WARRANTY, **INCLUDES WARRANTY**, SERVICE RECORDS, *PREMIUM SOUND SYSTEM*, CLEAN AUTOCHECK! !, *CLEAN HISTORY REPORT*. 21/34 City/Highway MPG Located at the all-new Acura of Berlin in the geographical center of CT, a short drive from MA, NY, RI, NJ, and VT. Our guests enjoy an exceptional shopping experience with our courteous, knowledgeable staff. Our accelerated sales process respects your time, and our transparent fair market pricing takes the hassle out of car shopping. Every vehicle is provided with the safety inspection and complimentary history reports. To make your life a little easier, we are even open Sundays for sales and service by appointment. Awards: * 2017 KBB.com 5-Year Cost to Own Awards 2016 Kelley Blue Book Brand Image Awards are based on the Brand Watch(tm) study from Kelley Blue Book Market Intelligence. Award calculated among non-luxury shoppers. For more information, visit www.kbb.com. Kelley Blue Book is a registered trademark of Kelley Blue Book Co., Inc.
2016 Acura RDX Crystal Black Pearl Certified. CARFAX One-Owner. *SUNROOF*, *HEATED SEATS*, *1 OWNER*, *Acura CERTIFIED*, *BLUETOOTH*, *BACK UP CAMERA*, LEATHER, NON SMOKER, STILL UNDER FACTORY WARRANTY, **INCLUDES WARRANTY**, ALL WHEEL DRIVE, CLEAN AUTOCHECK! !, *CLEAN HISTORY REPORT*, AWD. 19/28 City/Highway MPG Odometer is 2115 miles below market average! YOUR CERTIFIED Acura WILL COME WITH A ONE HUNDRED THOUSAND MILE LIMMITED POWERTRAIN WARRANTY AND 1 YEAR COMPREHENSIVE EXTENSION AFTER IT HAS GONE THROUGH Acura OF BERLINS 182 POINT INSPECTION. Awards: * 2016 KBB.com 10 Best Luxury Cars Under $35,000 * 2016 KBB.com 5-Year Cost to Own Awards 2016 Kelley Blue Book Brand Image Awards are based on the Brand Watch(tm) study from Kelley Blue Book Market Intelligence. Award calculated among non-luxury shoppers. For more information, visit www.kbb.com. Kelley Blue Book is a registered trademark of Kelley Blue Book Co., Inc.
2016 Acura RDX White Certified. CARFAX One-Owner. *SUNROOF*, *HEATED SEATS*, *1 OWNER*, *Acura CERTIFIED*, *BLUETOOTH*, *BACK UP CAMERA*, LEATHER, NON SMOKER, STILL UNDER FACTORY WARRANTY, **INCLUDES WARRANTY**, ALL WHEEL DRIVE, *PREMIUM SOUND SYSTEM*, *CLEAN HISTORY REPORT*, AWD. 19/28 City/Highway MPG Odometer is 1358 miles below market average! Located at the all-new Acura of Berlin in the geographical center of CT, a short drive from MA, NY, RI, NJ, and VT. Our guests enjoy an exceptional shopping experience with our courteous, knowledgeable staff. Our accelerated sales process respects your time, and our transparent fair market pricing takes the hassle out of car shopping. Every vehicle is provided with the safety inspection and complimentary history reports. To make your life a little easier, we are even open Sundays for sales and service by appointment. Awards: * 2016 KBB.com 10 Best Luxury Cars Under $35,000 * 2016 KBB.com 5-Year Cost to Own Awards 2016 Kelley Blue Book Brand Image Awards are based on the Brand Watch(tm) study from Kelley Blue Book Market Intelligence. Award calculated among non-luxury shoppers. For more information, visit www.kbb.com. Kelley Blue Book is a registered trademark of Kelley Blue Book Co., Inc.
2016 Acura RDX Crystal Black Pearl Certified. CARFAX One-Owner. *SUNROOF*, *HEATED SEATS*, *1 OWNER*, *Acura CERTIFIED*, *BLUETOOTH*, *BACK UP CAMERA*, LEATHER, NON SMOKER, STILL UNDER FACTORY WARRANTY, **INCLUDES WARRANTY**, ALL WHEEL DRIVE, *PREMIUM SOUND SYSTEM*, CLEAN AUTOCHECK! !, *CLEAN HISTORY REPORT*, AWD. 19/28 City/Highway MPG Odometer is 740 miles below market average! YOUR CERTIFIED Acura WILL COME WITH A ONE HUNDRED THOUSAND MILE LIMMITED POWERTRAIN WARRANTY AND 1 YEAR COMPREHENSIVE EXTENSION AFTER IT HAS GONE THROUGH Acura OF BERLINS 182 POINT INSPECTION. Awards: * 2016 KBB.com 10 Best Luxury Cars Under $35,000 * 2016 KBB.com 5-Year Cost to Own Awards 2016 Kelley Blue Book Brand Image Awards are based on the Brand Watch(tm) study from Kelley Blue Book Market Intelligence. Award calculated among non-luxury shoppers. For more information, visit www.kbb.com. Kelley Blue Book is a registered trademark of Kelley Blue Book Co., Inc.
2016 Acura RDX Crystal Black Pearl Certified. CARFAX One-Owner. *NAVIGATION*, *SUNROOF*, *HEATED SEATS*, *1 OWNER*, *Acura CERTIFIED*, *BLUETOOTH*, *BACK UP CAMERA*, LEATHER, NON SMOKER, STILL UNDER FACTORY WARRANTY, **INCLUDES WARRANTY**, ALL WHEEL DRIVE, *PREMIUM SOUND SYSTEM*, CLEAN AUTOCHECK! !, *CLEAN HISTORY REPORT*, AWD. 19/28 City/Highway MPG YOUR CERTIFIED Acura WILL COME WITH A ONE HUNDRED THOUSAND MILE LIMMITED POWERTRAIN WARRANTY AND 1 YEAR COMPREHENSIVE EXTENSION AFTER IT HAS GONE THROUGH Acura OF BERLINS 182 POINT INSPECTION. Awards: * 2016 KBB.com 10 Best Luxury Cars Under $35,000 * 2016 KBB.com 5-Year Cost to Own Awards 2016 Kelley Blue Book Brand Image Awards are based on the Brand Watch(tm) study from Kelley Blue Book Market Intelligence. Award calculated among non-luxury shoppers. For more information, visit www.kbb.com. Kelley Blue Book is a registered trademark of Kelley Blue Book Co., Inc.
2016 Acura MDX 3.5L Lunar Silver Metallic Certified. CARFAX One-Owner. *SUNROOF*, *HEATED SEATS*, *1 OWNER*, *Acura CERTIFIED*, *BLUETOOTH*, *BACK UP CAMERA*, LEATHER, NON SMOKER, STILL UNDER FACTORY WARRANTY, **INCLUDES WARRANTY**, ALL WHEEL DRIVE, CLEAN AUTOCHECK! !, *CLEAN HISTORY REPORT*, Graystone w/Leather-Trimmed Interior. 18/26 City/Highway MPG Located at the all-new Acura of Berlin in the geographical center of CT, a short drive from MA, NY, RI, NJ, and VT. Our guests enjoy an exceptional shopping experience with our courteous, knowledgeable staff. Our accelerated sales process respects your time, and our transparent fair market pricing takes the hassle out of car shopping. Every vehicle is provided with the safety inspection and complimentary history reports. To make your life a little easier, we are even open Sundays for sales and service by appointment. Awards: * 2016 KBB.com Best Buy Awards Finalist * 2016 KBB.com 5-Year Cost to Own Awards 2016 Kelley Blue Book Brand Image Awards are based on the Brand Watch(tm) study from Kelley Blue Book Market Intelligence. Award calculated among non-luxury shoppers. For more information, visit www.kbb.com. Kelley Blue Book is a registered trademark of Kelley Blue Book Co., Inc. Here at Acura of Berlin, we want to help put you behind the wheel of a used vehicle you feel good about. That’s why we thoroughly inspect each vehicle in our inventory for quality. You can also count on our team of expert service technicians to keep your car running like the day you drove it home. We can even perform many of your routine maintenance tasks such as oil changes in 30 minutes or less with our Acura Accelerated Services. Once you’ve browsed our inventory, it’s time to take a closer look by taking a test drive. Contact us today to schedule your visit to our showroom in Berlin near Newington.